One of the most elusive gluten-free items out there is real, authentic sourdough bread. Because it's baking month, and national sourdough bread day occurred earlier this month, I finally broke down and ordered a sampler from Bread SRSLY, a San Fransisco-based company whose mission is bringing gluten-free vegan sourdough to the people. I have had my eye on this innovative company for awhile now, and was so excited about the prospect of sourdough entering my life again. 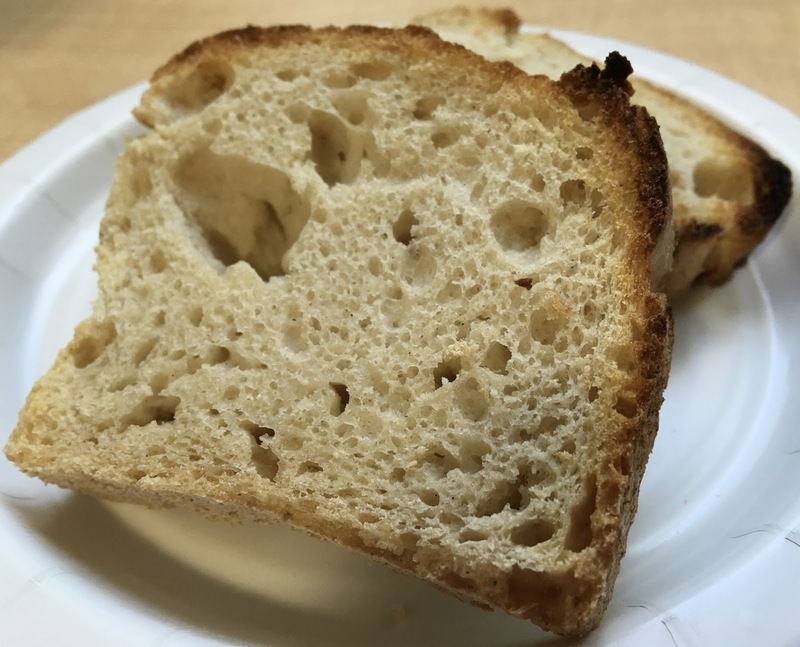 As I waited eagerly for the bread to arrive to my campus mailbox, my expectations grew ever higher because sourdough bread used to be one of my very favorite foods. Could this authentic San Fran sourdough really hold a candle to my beloved memories of gluten-filled baguettes? 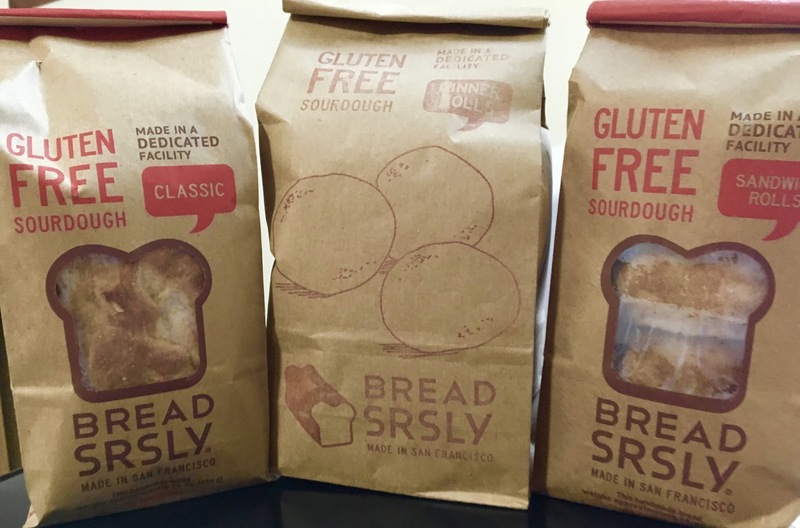 Before dishing all the details, I have to spotlight Bread SRSLY's incredible dedication to crafting the best gluten-free bread around. Their facility is 100% gluten-free and the breads themselves are CSA certified (read about that designation in a recent post). In addition, the facility is also completely nut free, but does process dairy, soy lecithin, egg, and sesame seeds. However, good manufacturing practices are used to ensure that the breads are allergen-free and vegan. When Bread SRSLY promises authentic gluten-free sourdough, they don't mess around with that claim. Using techniques used to make "regular" sourdough, this bread is given 12 hours for it to rise, to let the sourdough culture really ferment to produce the signature sourness of the dough. I ordered the loaves and roll sampler, which consists of one loaf of sourdough bread, one package of dinner rolls, and one package of sandwich rolls. It shipped on a Tuesday, and arrived on a Thursday, freakily fast and actually not too expensive (for an infrequent indulgence). The sourdough loaf is impressive in it of itself because it is heavy for its size. The loaf itself easily rendered a dozen thick slices, which keep in the refrigerator for a week, or can be frozen for a month or so. To prepare them properly, Bread SRSLY suggests toasting so that the perfect texture can be achieved, so I obliged. Once toasted the bread is wonderfully bready, with a thick, crispy crust and soft interior. What is most impressive about the bread is that it has the lovely tangy sourdough taste that I have missed for years. It's not gluten-free sourdough, it's just sourdough, and I couldn't give any higher praise than that. 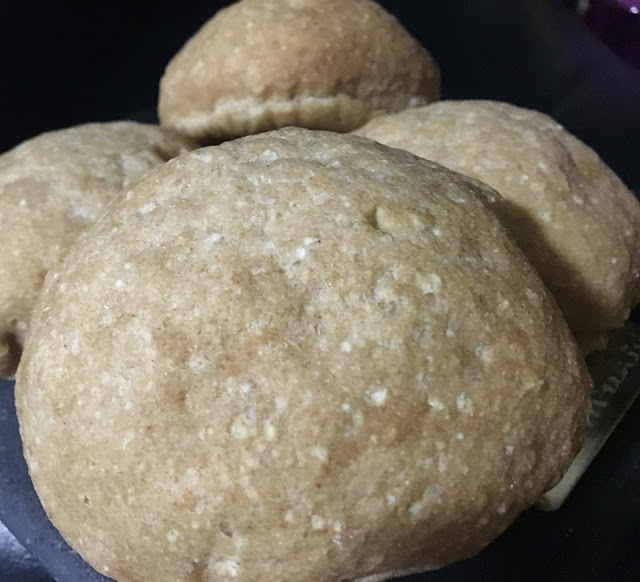 Unlike the loaf and sandwich rolls, the dinner rolls are to be put in the oven before eating to achieve that crispy, yet soft texture achieved by the toaster. I however ignored this, not wanting to power on the oven to eat a couple rolls at a time. Instead, I microwaved them with a damp paper towel, or simply defrosted them. 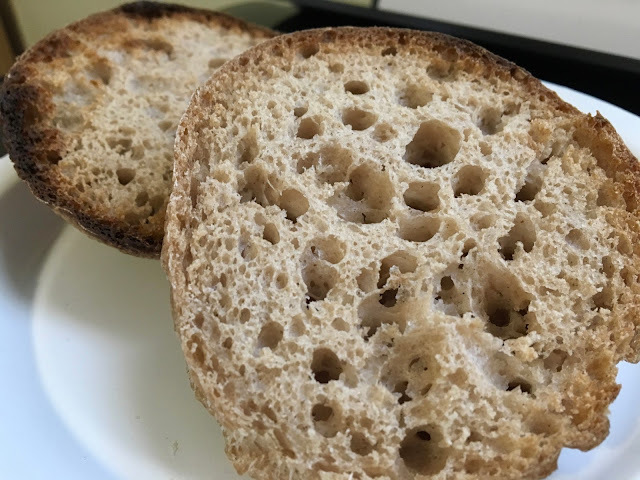 I like how the rolls have actual nooks and crannies, as a result of the sourdough starter, and that they are travel friendly for breakfast on the go or a packable lunch. These had the same distinct sourdough taste with a thinner crust and a perfect two-bite portion. 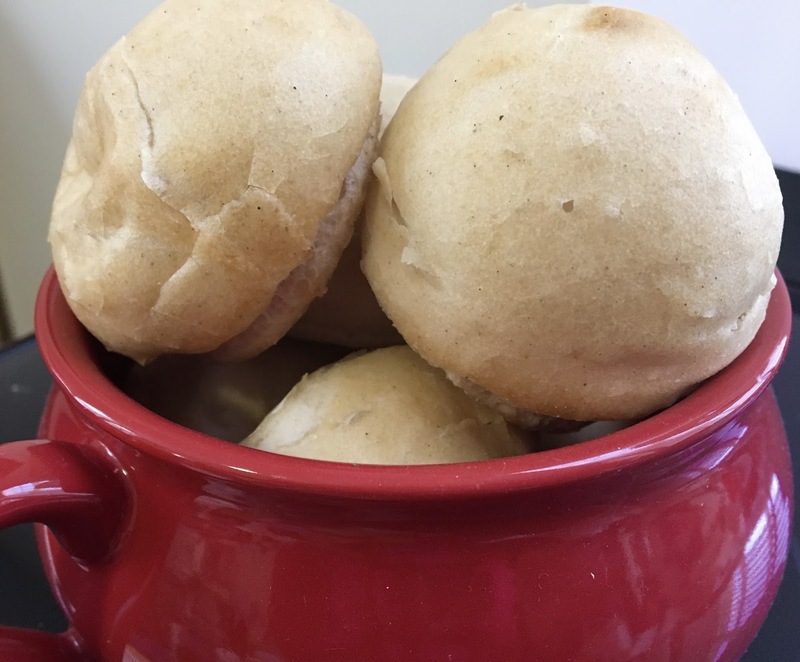 The sandwich rolls are bagel or bun-sized, and definitely toaster-capable. While the name suggest using them as a sandwich, I instead utilized them as hole-less bagel, slathering on peanut butter before heading out to class or work. 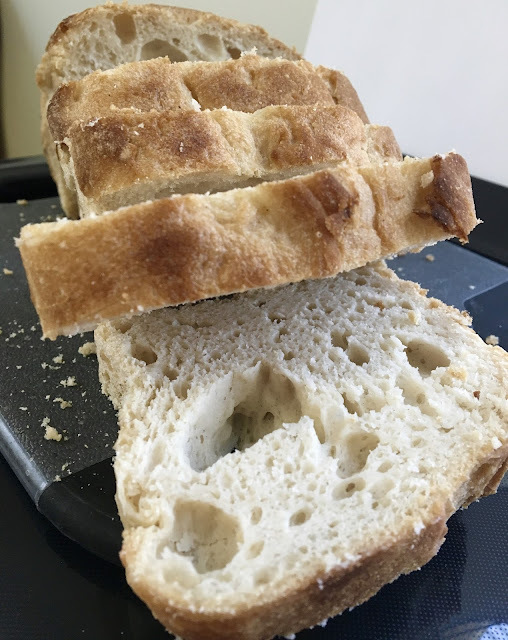 I loved how the crust crisps up and has some serious crunch, but the interior bread is soft and spongy (as sourdough bread should be). The tang of the sourdough shines through, and the roles definitely upgraded my mornings. I don't know how they'd hold up loaded with toppings such as a burger or pulled pork, but I am perfectly content to eat them on their own, as not to dilute the deliciousness. Normally when I get products delivered on my own accord, I do not directly interact with the company, but in this instance, I had to because a campus post office glitch stranded my package over a weekend, which unfortunately resulted in a package of sandwich rolls that were moldy. However, when I reached out to the company, they immediately wanted to make it right, and sent me not one, but three packs of the sandwich rolls complementary that following week. The replacement rolls arrived on time, mold-free. All of this goes to show that Bread SRSLY offers not only the best, real sourdough around, but is run by dedicated people who put the customer first. I look forward to many more packages to come from this gem of a company. Update 10/6/17: Since my first review, Bread SRSLY has undergone a package redisgn. 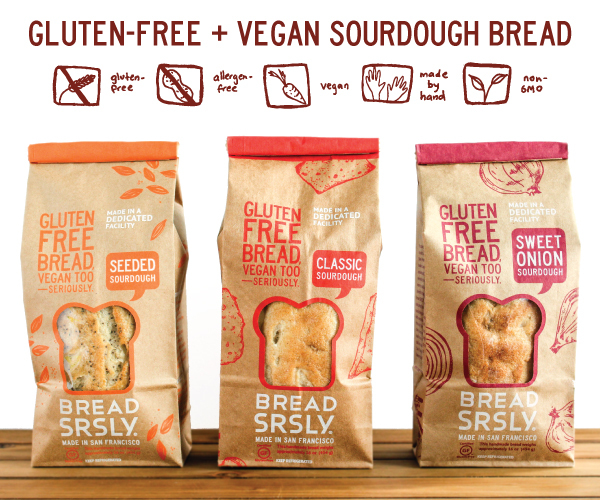 It's the same delicious gluten-free bread, only in fun, new 100% compostable packaging. Disclaimer: This review is current to the original publication date. Updates will be noted. Ingredients and manufacturing processes can change without notice. Each product should be reviewed for individual nutritional needs. Feel free to to contact me with any questions or comments. I purchased this product independently and the review is a reflection of my personal opinion.